I just attended a workshop on 'Driving Test Assessment and Marking' run by Leigh Brookes. It was very well organised and extremely worthwhile to attend as its a real eye-opener on how driving tests are assessed and how to understand the DL25 sheet. I would highly recommend this course. We provide training for candidates preparing for the DVSA New Entrant assessment drive, as well as the DL25 marking sheet, and an introduction to asessment. The driving test is assessed by a Senior DVSA Manager, lasts a minimum of 60 minutes, includes a commentary element and manoeuvres. It also usually takes place some distance away so that you are driving in an unfamiliar area. 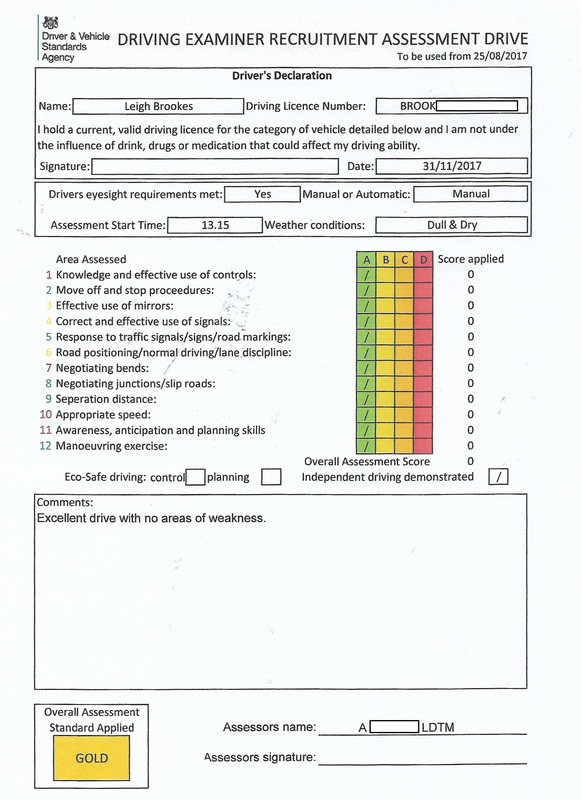 Your performance is graded bronze, silver or gold and further driver development training is then targetted towards any areas found lacking in the initial assessment. 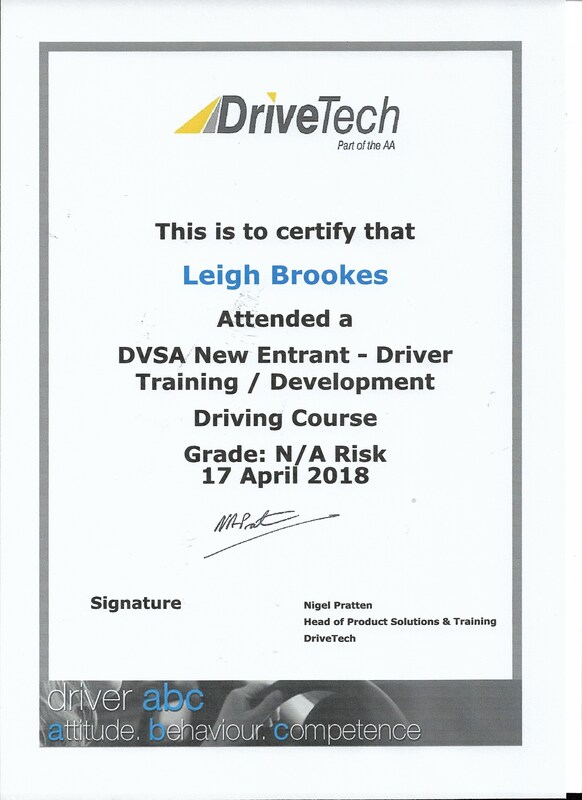 I underwent the DVSA process in 2017/2018 and the feedback from my own assessment and the three days driver development is shown on this page.